Today, I’m delighted to feature Jane Packer Delivered‘s new spring collection. And what a stunning collection it is…the perfect tonic for wintery overcast days! When you read below, you’ll discover that the bouquets have all been given some wonderful classic confectionery names. 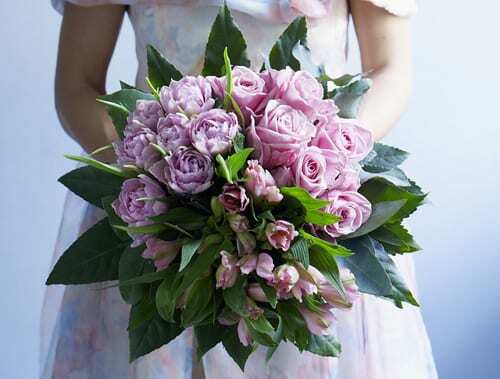 I love the fresh spring tones of pale pink, apple white and lilac used in the bouquets. My very favourite is the one above called ‘Coconut Ice’. 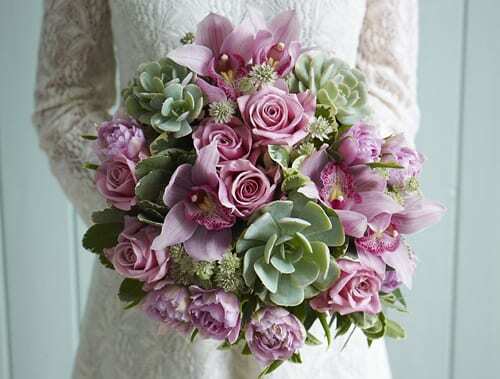 It consists of roses, cymbidium orchids, tulips, astrantia and variegated pittosporum. And the succulent plants which are included in the design can be replanted after the flowers have faded. What a wonderful keepsake! Below is the ‘Barley Sugar’ bouquet, brimming full of roses, carnations and alstroemeria, combined with aspidistra leaves and pittosporum. 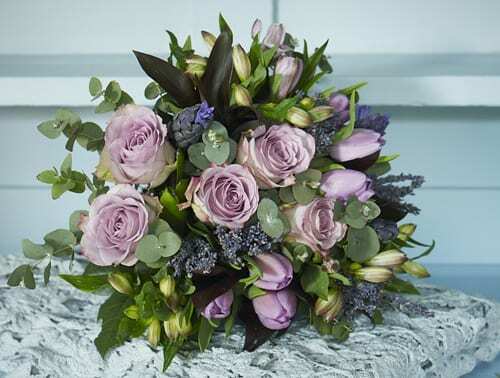 Next up is the ‘Parma Violet’ design which contains roses, tulips, alstroemeria, hyacinths and dried lavender, together with cordyline and eucalyptus. 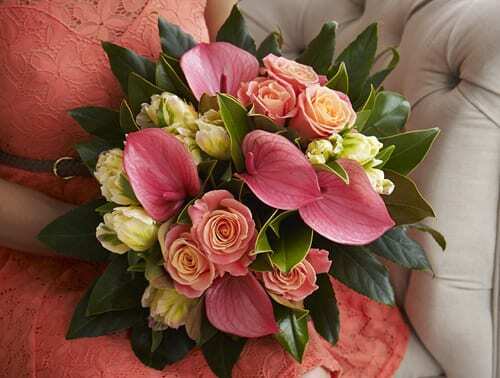 ‘Rose Cream’ is the name of this bouquet and it consists of groupings of tulips, roses and alstroemeria, combined with eucalyptus and aralia foliage. 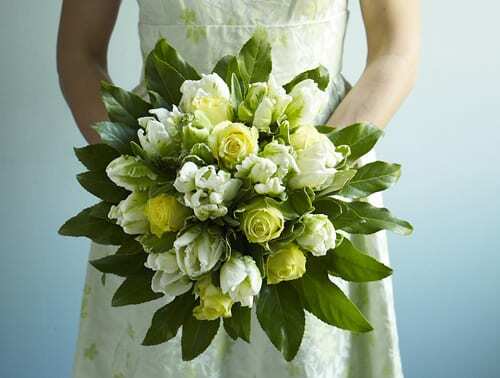 Below is the ‘Sherbet Lemon’ bouquet, full of roses, parrot tulips, variegated pittosporum and aralia leaves. ‘Toasted Teacake’ is the name of this bouquet. 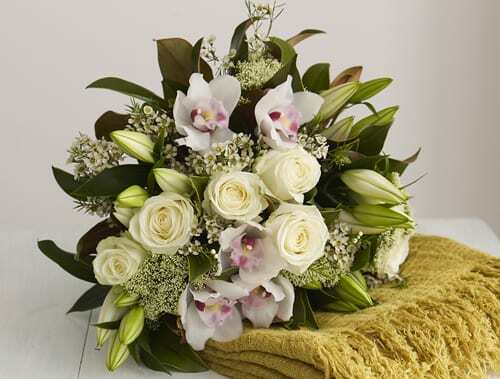 It consists of roses, cymbidium orchids, lilies, trachelium and waxflower. 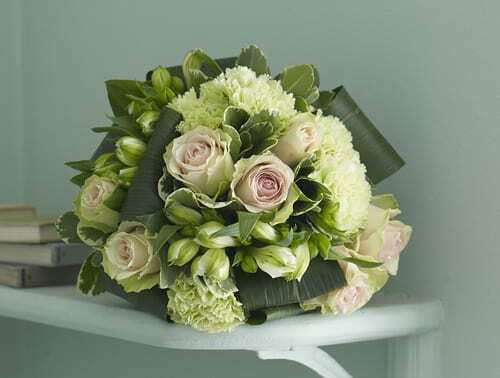 The final bouquet is called ‘Tutti Frutti’ with Miss Piggy roses (yes, that’s their real name! ), anthuriums and parrot tulips, together with glossy foliage. 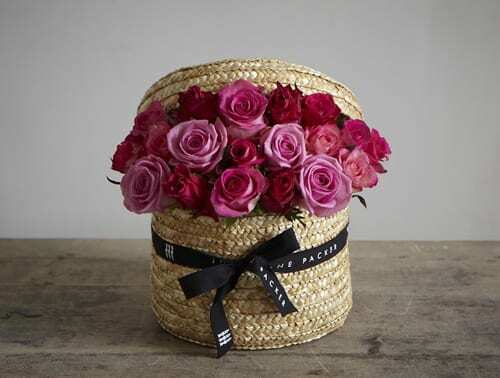 New to the Jane Packer Hat Box collection this spring is the design below called ‘Sweet Rose’…a gorgeous natural toned hat box filled to the brim with pink roses in various shades.